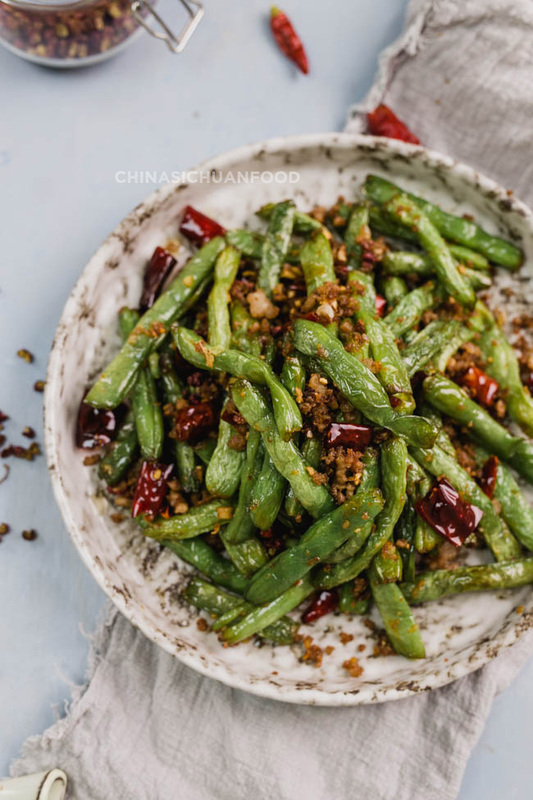 This restaurant style Szechuan green beans is a perfect combination of protein and vegetables, with savory and slightly spicy taste. There is really a long list of my favorite Szechuan dishes including Mapo tofu, Dan Dan Noodles, month watering chicken, Chongqing Chicken, Szechuan fish etc. 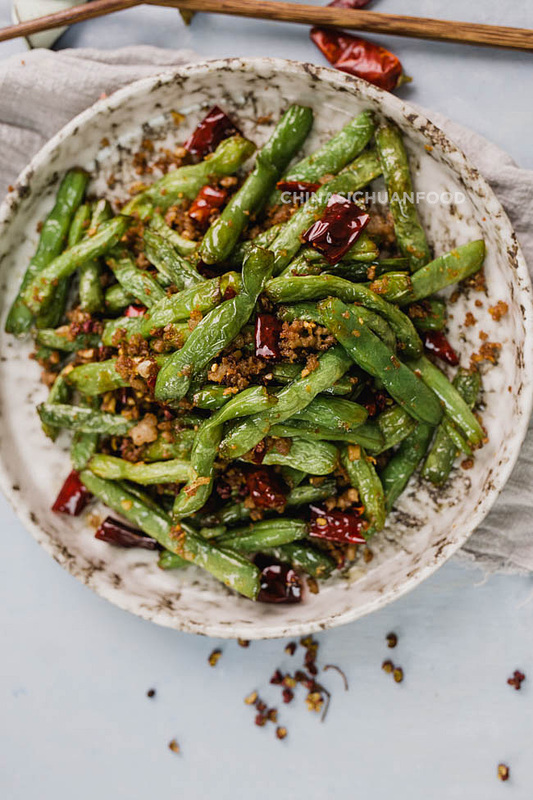 And this Szechuan green bean with minced pork, Szechuan unique Ya Cai, garlic and spices is one of the perfect dishes in the dry frying dishes in Szechuan cuisine. Dry frying known as “干煸”in Chinese is a popular cooking method used in Szechuan cuisine. 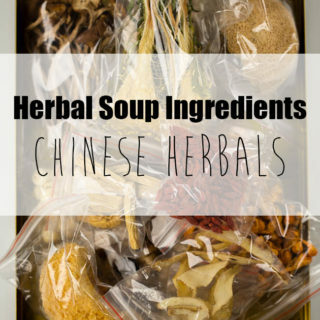 This method can remove the initial water content in the ingredients and help them to absorb the seasonings. 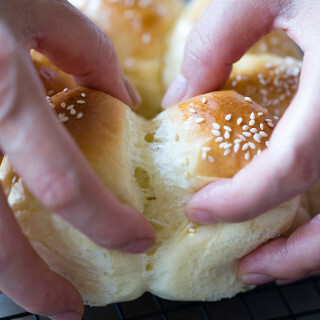 There are several recipes on this blog using similar method. 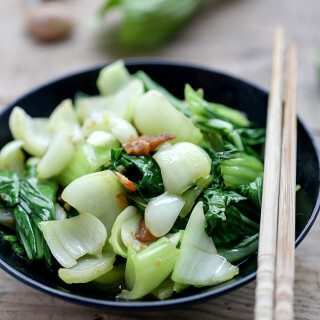 Check them by clicking Szechuan dry-fried cauliflower and Chinese style cabbage stir-fry. 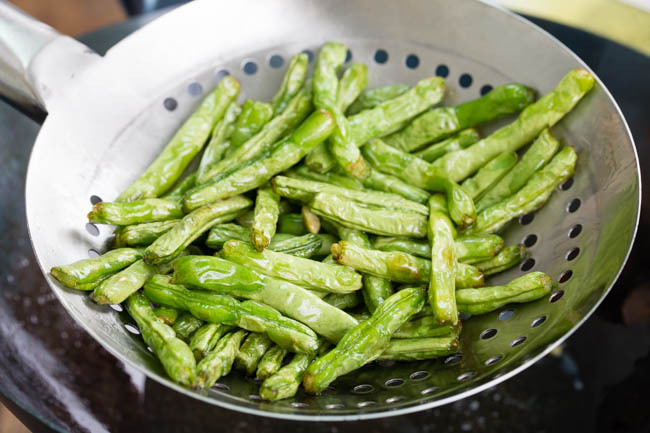 There are two ways of pre-frying the green beans, deep-frying with more oil and less time or shallow-frying with less oil and more time. It actually depends on you. But the restaurant usually use the deep-frying method because shallow frying takes around 12 to 15 minutes which is 5 times longer than deep-frying method. 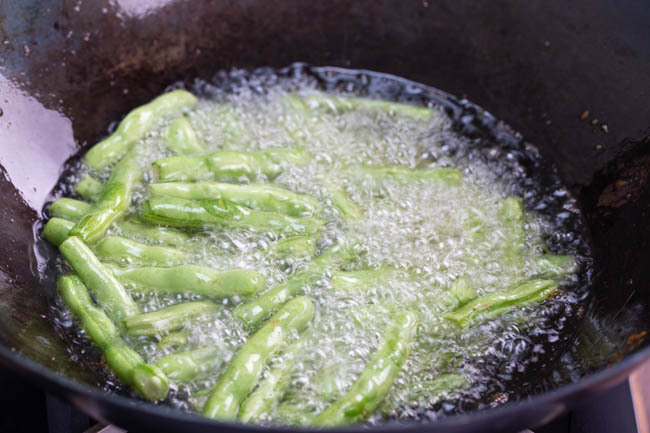 Add around 3 cups of oil in a wok (I love to use wok for deep-frying because the deep center helps to save oil) and then place the drained green beans in. Fry over middle to high fire until the skin becomes wrinkled. This process may need 3 to 4 minutes. 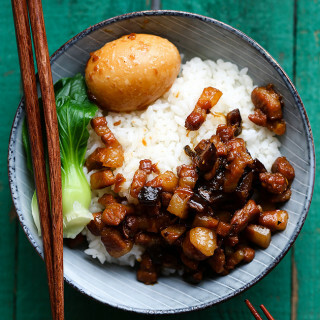 Marinate minced pork with all the seasonings in a small bowl for around 15 minutes just before cooking. Prepare the green beans and drain with paper. Heat up oil in wok (or you can use a small deep pot) until you can see light smoke on the surface over high fire. Add drained green beans to fry for 3 to 5 minutes over low to medium fire. Stir the beans occasionally during the process. They will be well deep-fried when there are obviously withered. Transfer out and filter the extra oil out. 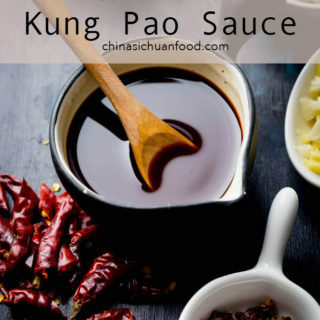 Leave around 1 tablespoon of cooking oil in wok and pour out the extra. Be carefully during the process as the oil is extremely hot. Add minced pork and fry until for 1 minute until aroma and then put ginger, garlic, Szechuan pepper, ginger, Ya Cai (if you happen to have some in kitchen) and dried pepper. Fry for another 1 to 2 minute. 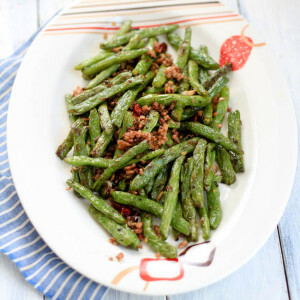 Return green beans along with salt, sugar and light soy sauce. Fry until everything is well combined. Serve hot! 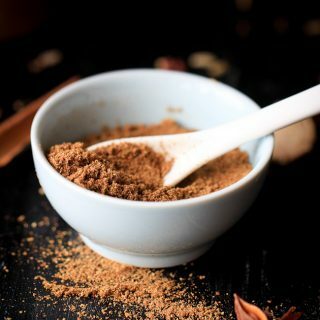 You can add around 1/2 teaspoon of sugar to mild the spiciness. 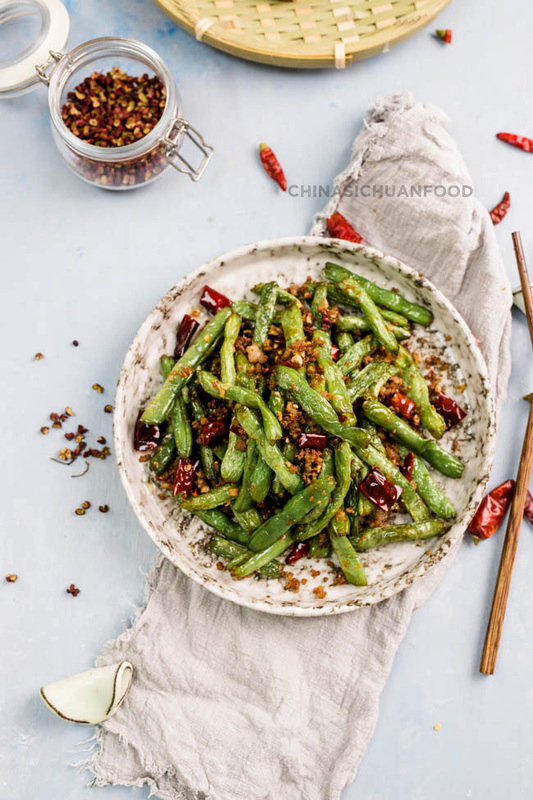 I LOVE szechuan green beans! It’s one of my favorites 🙂 Is it really this easy? I can’t believe it! I have to get on it! Yes, Nagi. It is quite easy. 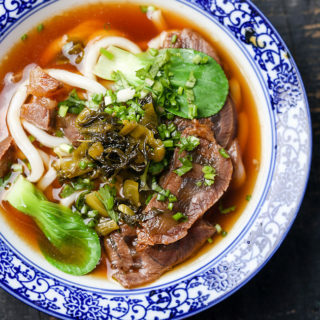 Most Szechuan dishes are quite home cooking friendly. This is one of my favorite dishes in any restaurant in China – I never knew it was szechuan! Do you have a recommendation for what brand of ya cai is good to buy and will be available in most places (in China)? If you are not in Sichuan but Shangdong, you can search it in supermarkets like Walmart. But the easiest way is to buy it from Taobao. You can search 四川芽菜. Sadly you cant find fresh sichuan peppercorn where I live and with dried one it doesnt get that tasty in my opinion. Now I happened to find some Sichuan Pepper Oil which is really fragrant. Can´t wait to try it with this for little extra prickly taste. 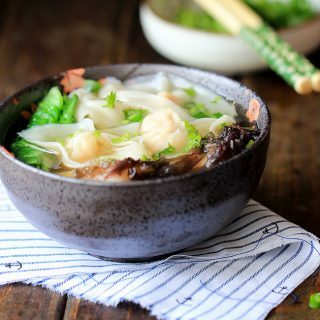 It is one of my favorite dish too. Very fresh, few seeds or stems. Thanks for the recommendation. Hope this is useful for other readers who are searching for high quality Szechuan peppercorns. Go ahead Amanda. 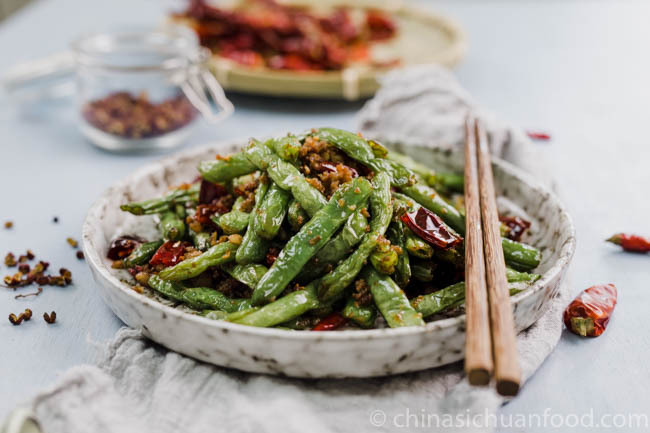 This is the most popular method of cooking green beans in China. You can skip minced meat and use ya-cai or chopped olive vegetable. 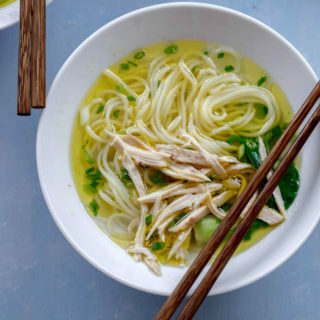 The two are great substitute for this dish. Hi Elaine, I know that Dry Fried Green Beans is very popular in China. Every time I come to the Sichuan Food store, I always eat this kind of food. You are doing great with it. Thanks very much. 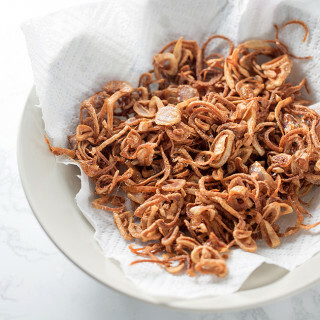 This dish can be dry-fried too, only require more time.